November 19, 2018 – Magnifique wants to be known as a servant leader with integrity and honesty, who set an example for others to follow! July 7, 2018 – Last semester, Magnifique took a challenging class on business research methods. It was a difficult class for her, and during her midterms she didn’t do well on her exam. Instead of getting stressed out about the class, Magnifique prayed and asked God to settle her fears, spent extra time studying, and was able to pass her class! This summer, she has a busy summer working at an internship and taking summer classes. May 12, 2018 – Magnifique values her faith and advice from others, because both help her to do the right things in her daily life. March 25, 2018 – When Magnifique was younger, she wanted to be a doctor so she could provide good healthcare to patients! In five years, she sees herself as a marketing manager at a specific company in Rwanda! Feb 27, 2018 – Magnifique’s biggest inspiration is her mother, because she is always working hard for the sake of her family! Jan 25, 2018 – The last thing Magnifique read that was so captivating she couldn’t put it down was Jeremiah 33:3, “Call to me and I will answer you and tell you great and unsearchable things you do not know.” It was a reminder for her that when we pray God hears and will answer, and that he is always ready and willing to help us. Dec 18, 2017 – For Magnifique Christmas varies between families and what their traditions may be, but most people gather together with friends and family to share a meal and drinks together. Magnifique says that her friends describe her as someone who loves caring for others, this is because she loves people and helps others whenever she can! Nov 11, 2017 – Magnifique is thankful to God for what He has provided for her, and is thankful for all the people who have believed in and supported her! She is looking forward to spending Christmas with her family and being able to cook for them. Oct 8, 2017 – Magnifique spent her summer taking care of her mother who was ill; she is excited to see her friends as well as beginning her final year of university. May 25, 2017 – Something Magnifique wishes more people knew about Rwanda is that it’s a peaceful country, called “The Land of a Thousand Hills,” and home to good leaders. March 27, 2017 – When asked about the 3 things she values most, Magnifique said God, her family and friends, and her education! Feb 13, 2017 – Regardless of how chaotic the world is, or how many challenges she faces, what always empowers Magnifique is knowing that she’s loved by God, that how God’s love is unchanging. Jan 17, 2017 – Life isn’t without challenges. Last year Magnifique struggled with sickness in hear family. While it was a great responsibility to bear, she learned the power of faith and keeping a positive mindset. Dec 8, 2016 – Magnifique is entering 2017 will powerful goals — to improve her grades, to develop relationships with her professors, and to develop a deeper walk in her faith! Nov 20, 2016 – When asked about what she’s thankful for, Magnifique said the support of the These Numbers Have Faces community, who have taught her how to lead with a servant’s heart. Oct 14, 2016 – A highlight of Magnifique’s summer was attending the African Youth Leadership Forum Conference in DR Congo where she learned about the importance of leading with integrity and justice! 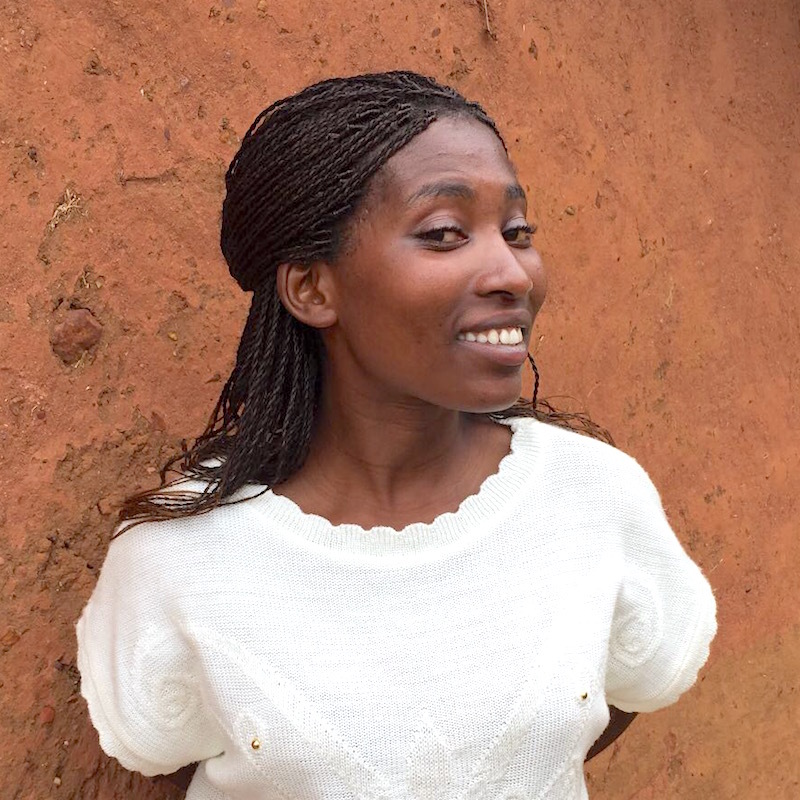 April 20, 2016 – During the Aspen Heights team visit to Rwanda, Magnifique said she learned a lot from the team’s leadership training. Their presentations inspired her to better love her classmates, and someday, her coworkers! March 4, 2016 – When asked about her new goals for term, Magnifique said she wants to improve her marks in all her courses, and to dedicate more time to prayer! Jan 21, 2016 – Magnifique’s Community Impact Project is working with youth in Gihembe Refugee Camp to help decrease violence, drug use and prostitution. Magnifique hopes to inspire youth to live in a way that is healthy and honoring to them! Nov 2, 2015 – How many languages does Magnifique speak? 3! Kinyarwanda, English and Swahili! Magnifique grew up in Gihembe Refugee Camp in Rwanda, where she and her family fled due to violence in DR Congo. The pillar of the family and Magnifique’s role model has been her older sister, who supports the family as a janitor at the refugee camp hospital. After witnessing the effects of poverty in her community, Magnifique believes she can create positive impact through entrepreneurship. With a Marketing degree, her vision is to become a business leader and strengthen Rwanda’s economy.